The Los Angeles Council of Charitable Gift Planners holds five General Meetings each year. Our General Meetings are similar to attending a one-day conference on gift planning. Attendees benefit from hearing three different presentations with the early morning presentation geared towards the attendees’ choice of either beginner or advanced level. Come learn the latest concepts and techniques to help your donors or clients make planned gifts that meet their financial and philanthropic goals. Session Description: Wealth inequity and privilege are under attack. The impact and intent of philanthropy is being questioned. How is philanthropy complicit in maintaining inequity? Is philanthropy merely the fragrant exhaust of a capitalist system gone wrong? How can philanthropy address real inequity and human suffering in LA and in the US? What can advisors do to assist their clients to develop the most impactful and meaningful philanthropy in this context? John Kobara will offer some provocative thoughts to explore these questions with the participants. John E. Kobara is a respected figure nationally in the philanthropic and nonprofit communities. As chief operating officer of CCF, he is responsible for all of the development, marketing, administrative, grantmaking, civic engagement and donor relations functions of the foundation.He joined the foundation in 2008 to head the external and donor relations department. From 2003-2008, he was on the foundation’s board of directors while serving as head of Big Brothers Big Sisters of Greater Los Angeles. For 35 years, Kobara has been leading and managing innovative nonprofit organizations, companies and technology startups, and actively involved in advancing social justice by increasing access to educational opportunities in Los Angeles. In 2007, Kobara received the City of Angels Award for his service on behalf of children and families. 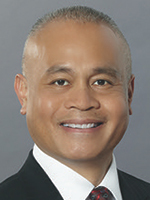 He was a Coro Fellow in Los Angeles and earned a bachelor’s from UCLA, a master’s in business administration from USC and a master’s from Occidental College. Note: The Advanced Case Study is recommended for those with at least three years of experience in gift planning. THE MINI ROUND TABLE provides an opportunity to brainstorm, network and learn together with LACGP mentors and peers who seek a deeper understanding of the field. Bring a question and together we will generate an array of helpful answers. Session Description: Wisdom comes to us through our own personal experiences. But isn’t it great to learn from someone else’s experiences, especially someone who respect in our circles? Jay Harvill’s special guest, Lambert Bittinger, is a long-time planned giving professional (31 years, 17 of which was at USC ) with a long memory, who will share his experiences – good and “could be betters” – throughout his years. Join us to learn and enjoy an informal conversation with one of the best. Session Description: In this session Eric McDermott will share a unique, counterintuitive perspective for future growth in Planned Giving. A perspective that demonstrates how precision tailoring strategies for the donor’s concerns, not just the charity’s concerns, produces greater impact for everyone. Eric will deconstruct several common traditions, from how the siloed efforts of “fundraising vs. planned giving” may be hindering progress, to inspecting the fundamental way we approach donors – and of course, always with practical, relatable case examples. Who knows, by the end you may never look at Planned Giving the same way again! 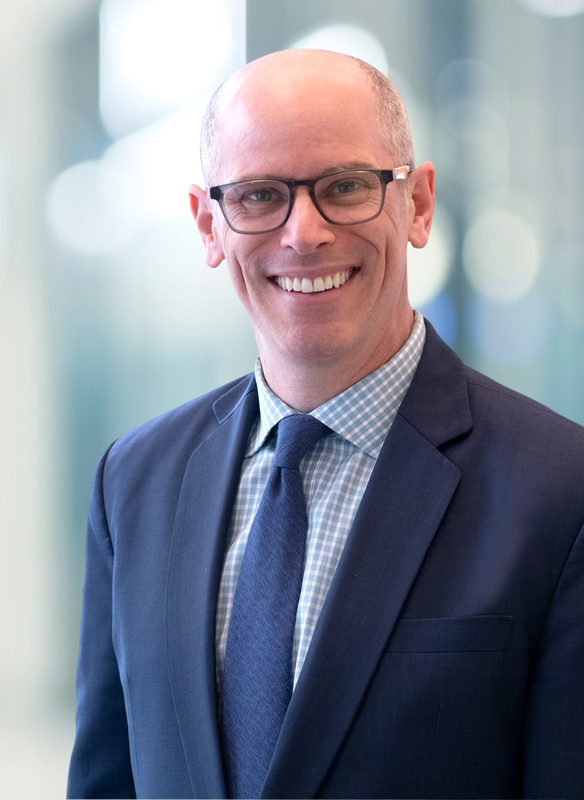 Eric McDermott is a managing equity partner of Pacific Advisors, a financial services firm with over 46,000 clients and more than 200 financial advisors, specialists and staff. The firm works with over 10,000 business owner clients and has in excess of $2.5 Billion in assets under administration. He leads the Advanced Financial Strategies Team, new initiatives, operational strategy, and enterprise marketing. As a Financial Advisor he holds multiple advanced designations, including CFP®, ChFC®, and CLU®, and focuses on connecting business leaders with strategies to protect and grow their business, net worth and estate. An entrepreneur at heart, Eric uses his more than 20 years of innovation and marketing capability as a partner in several additional enterprises as well. Eric knows, first-hand, the importance of non-profit fundraising. Early in his career, he helped to establish the first, in-house Annual Giving Program for the University of California, Riverside campus. Having spent the past decade in the Advanced Financial, Charitable and Business Strategies, Eric is also a believer in the power of planned giving strategies for taking non-profits to the next level while providing significant financial efficiencies for donors. Having been personally impacted by the power of non-profits in his own upbringing, from Big Brothers as a child, to his mother’s decade-long battle with breast cancer, he holds a special passion for elevating the impact of non-profits through financial strategies. As a public speaker, Eric is sought after on topics inside and outside his industry. Recent events include speaking from mainstage to thousands of business leaders on changing the industry for "What's Next," as well as international speaking events in Bangkok and Taipei. Eric also speaks for associations outside the financial services industry sharing competitive strategies for a rapidly changing marketplace. Some of his speaking includes frequent presentations across the country to business owner and CEO groups on financial strategies for earning more and keeping more. He has a special passion for presenting to non-profits on advanced planned giving strategies for attracting more frequent and larger donors to worthwhile causes. For years, Eric has led presentations for employees and leaders, across dozens of companies, on personal strategies for getting financially organized. He commits to hundreds of hours a year of continuous learning, mobilizing and inspiring change and innovation through public speaking, and mentoring those around him. For fun, he enjoys family vacations, time with his wife, three children, reading, designing, sketching, and tennis. Session Description: A complete year of the Tax Cut and Jobs Act fully behind us and filings having begun. Markets are experiencing high variability. Another presidential race kicking into gear which could lead to shifts in policy. We are taking a moment to hear from experts in law, finance, and accounting about what we can anticipate for the future based on trends they see in their work, with special focus on how gift planning may be affected by the current economic and political climate. Joe Lumarda is a Senior Vice President and Investment Counselor for Capital Group Private Client Services. He works directly with high net worth individuals and families to create customized plans for protecting and growing their wealth, often across multiple generations. Joe also helps nonprofit foundations and endowments to pursue their longterm financial objectives through effective planning and investment management. Prior to joining our organization in 2006, Joe spent 16 years at the California Community Foundation as a vice president for development, executive vice president and chief operating officer. He also served as an independent director for Capital Research and Management Company’s Endowment funds, a series of investment portfolios designed exclusively for nonprofit organizations. Joe also served as an officer in the U.S. Navy for three years. He earned an EMBA from Claremont Graduate University and a BA in philosophy from Saint John’s Seminary College. 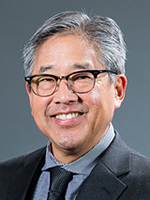 He is a member of the board of the California Wellness Foundation, Southern California Grantmakers, Asian Americans Advancing Justice, and St. Joseph Healthcare Foundation. Joe is based in our Los Angeles office. Reynolds T. Cafferata is a partner at a tax law firm, Rodriguez, Horii, Choi & Cafferata LLP, and represents charities and donors on issues related to charitable giving, governance, charitable trust litigation and tax. Mr. Cafferata’s clients include universities, hospitals, community foundations, private foundations as well as banks, and philanthropists. Mr. Cafferata is a frequent speaker and writer on charitable topics, former adjunct professor at the USC School of Law, a member of the USC Tax Institute Planning Committee, member of the American College of Trust and Estate Counsel, past board member of the National Committee on Planned Giving, and past chair of the National Conference on Planned Giving. 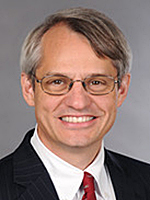 He was named a Daily Journal 2016 Clay Awards Winner, “Attorney of the Year for Extraordinary Achievement in2015 Appellate Practice” for his work on Estate of Duke. Bill Hranchak provides advice on a variety of tax and business issues to a wide range of clients including corporations, partnerships, and individuals. His client base has included both public and private corporations in a broad range of industries ranging from airlines to hospitals. Bill also has extensive experience working with a variety of nonprofit organizations in areas impacting their tax exempt status, public charity versus private foundation status, unrelated business income tax liability and fund raising activities. He also worked in a variety of areas representing his clients before the IRS and state tax authorities on matters including corporate and individual audits and determinations regarding tax-exempt status. Bill began his career in the Chicago office of Arthur Andersen and left the firm as a partner and leader of the Los Angeles Healthcare Tax Practice. Prior to joining the Temo Arjani, LLP, Bill was the leader of the West Coast Exempt Organization Tax Practice of PricewaterhouseCoopers. 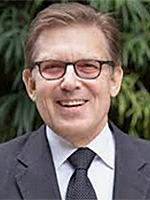 He is on the board of the Partnership for Philanthropic Planning of Greater Los Angeles and on the faculty of the American Institute of Philanthropic Studies. Bill earned his B.S degree in Accounting from Indiana University, Bloomington. He is a Certified Public Accountant, and a member of the California and American Society of Certified Public Accountants. REMINDER: LACGP offers validated SELF parking only. If you choose to use the hotel valet you will be charged the difference in price and will be asked to pay the valet directly. Please note: Cancellations will be accepted until 48 hours prior to the event. A $25 administrative fee will be imposed. Cancellations received after the 48 hour deadline are non-refundable. To discuss General Meeting sponsorship opportunities, please contact Allyson Simpson, LACGP President at [email protected].